Airy is a simple yet powerful multimedia program to efficiently download your favorite videos from YouTube with great ease. The software lets you save YouTube videos on your computer so that you can play them anytime regardless of the availability of Internet connection. 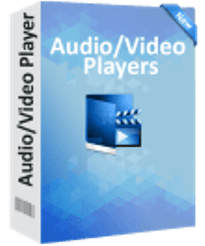 The YouTube downloader enables you to select the preferred output format and quality, featuring a number of options such as MP4 in 192p, 240p or 360p, as well as 3GP, MP3 or even FLV. Apart from this, you can also extract MP3 soundtrack from the source video and listen to it on any music player. When you don’t feel like watching YTB videos but only their audios, you can select MP3 format from the list in Airy and click on “Download” icon. Additionally, the tool lets you fetch album art and titles from the media files. The audio/video player allows you to download full HD, 4K, and 8K Ultra HD resolution movies to your hard drive without hiccups. You can download 2 free videos with the trial version of Airy for Windows. The interface of this media player is fairly simple and intuitive that comes with a small and non-adjustable window. The video downloader for PC enables you to resume paused or interrupted files and set up event notifications as per your convenience. Download Airy to start downloading your favorite tracks and videos from YouTube without any trouble. > Ability to transfer movies to watch it on tablets, mobiles, etc. Airy is an efficient video downloader that allows you to download multiple videos and extract audios from the selected movies on YouTube. The download manager gives you access to a variety of songs or movies so that you can watch them on your PC even if there is no Internet connection available. The utility gives you the freedom to share your downloaded clips with your friends anytime anywhere.